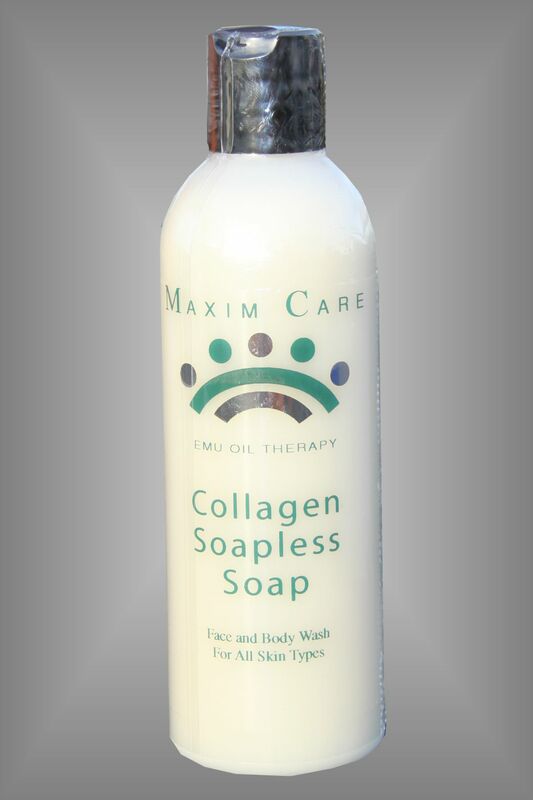 Maxim Care Collagen Soapless Soap leaves skin moist, yet without the oily feeling many moisturizing cleansers can leave. Emu Oil has been proven to regenerate cells, providing the extra vitality your skin so richly deserves. This product is an overall general cleanser. Great when used as a Body Shampoo or can also be used as a facial cleanser. Will not dry out your skin. Use prior to our Moisturizing creams for excellent results!